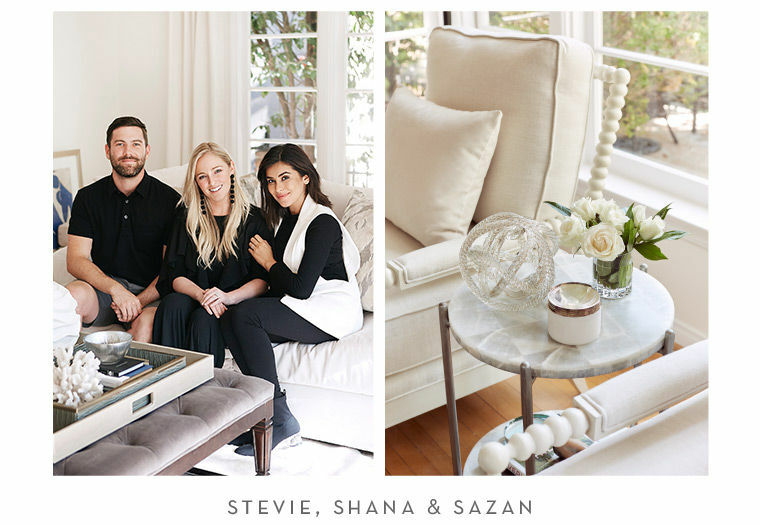 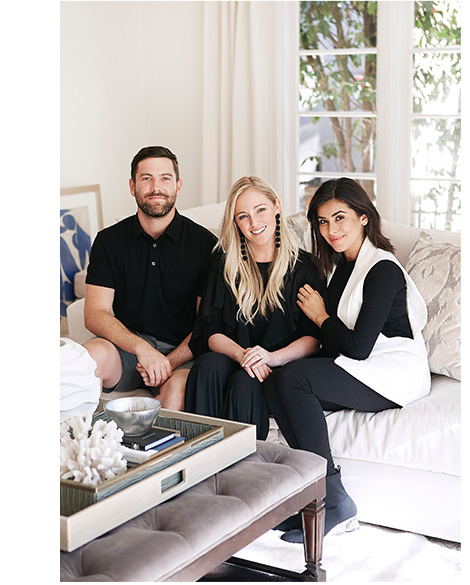 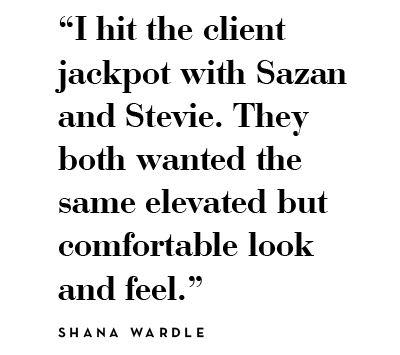 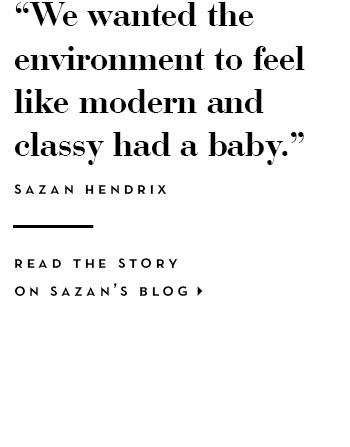 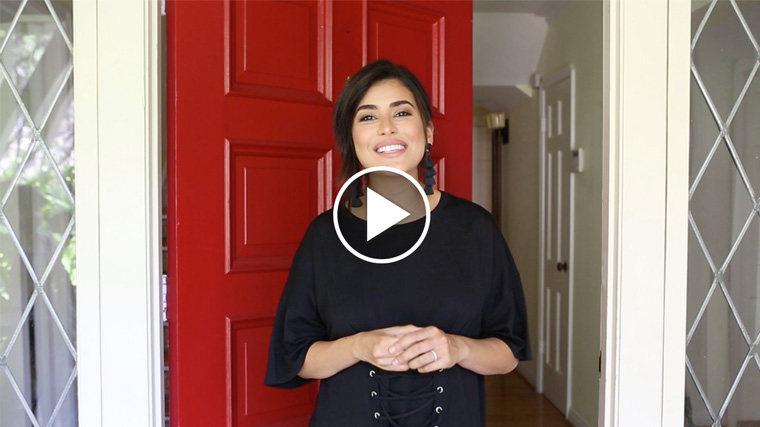 Z Gallerie collaborated with L.A.-based designer Shana Wardle and Sazan and Stevie Hendrix to transform their very first home together into a fresh, elegant space. 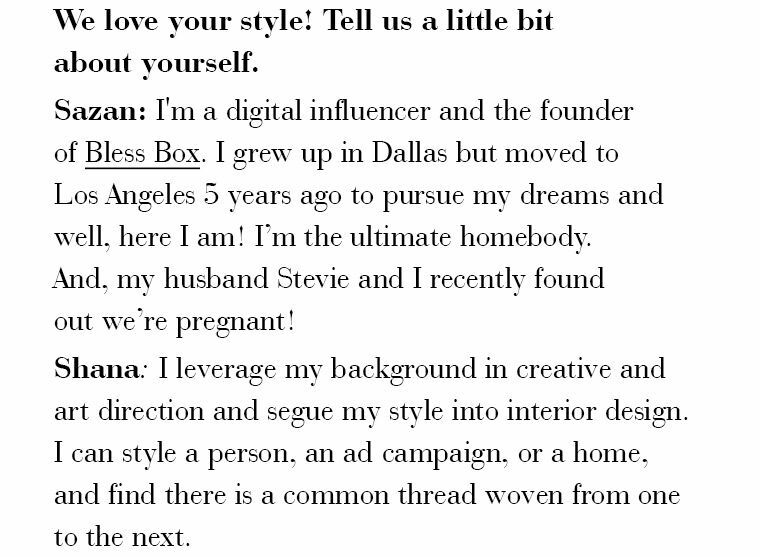 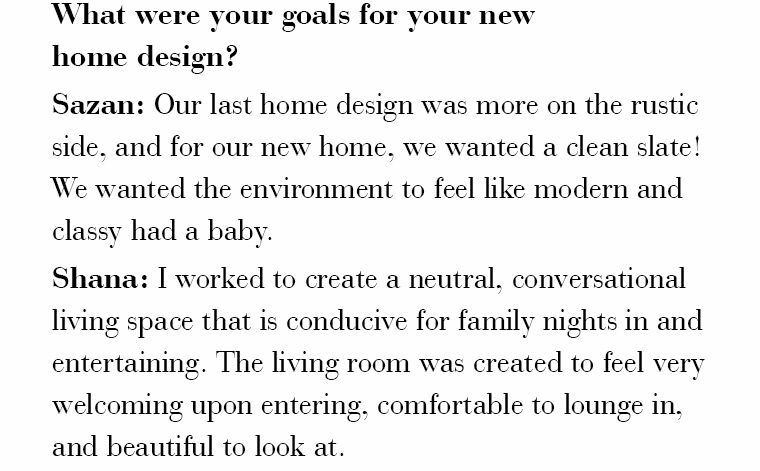 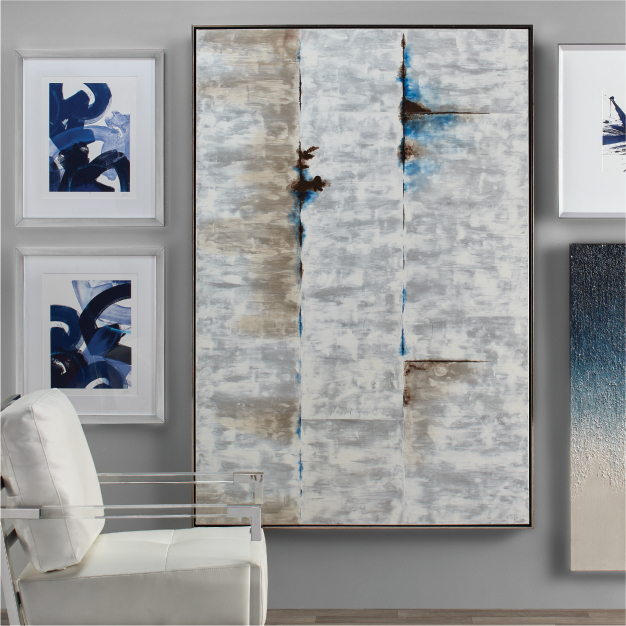 See how Z Gallerie furnishings, rugs, artwork, drapery, bedding, and decor elevates the home from mundane to magic. 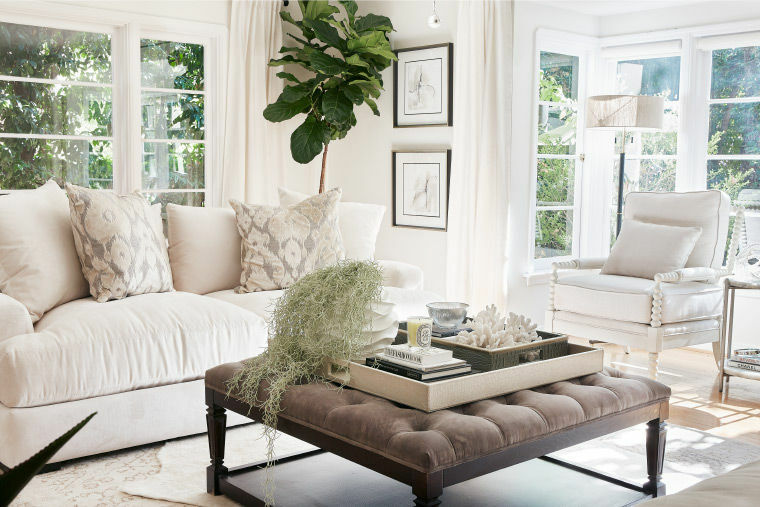 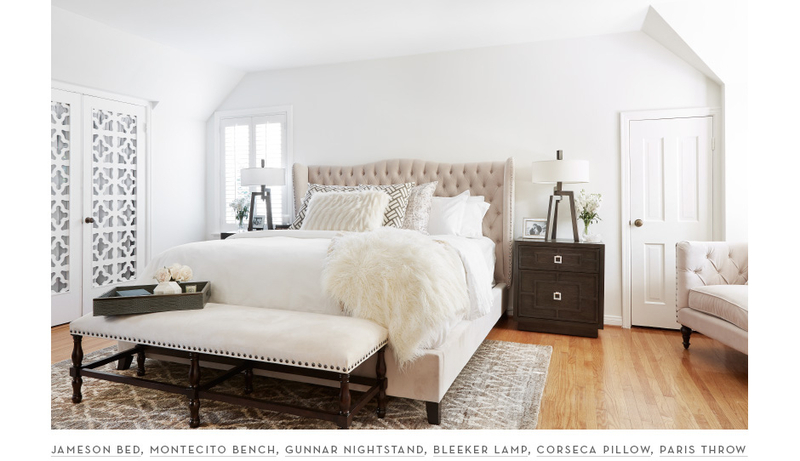 Wardle’s clients expressed their need for a cozy yet “I never want to leave” vibe that still feels chic. 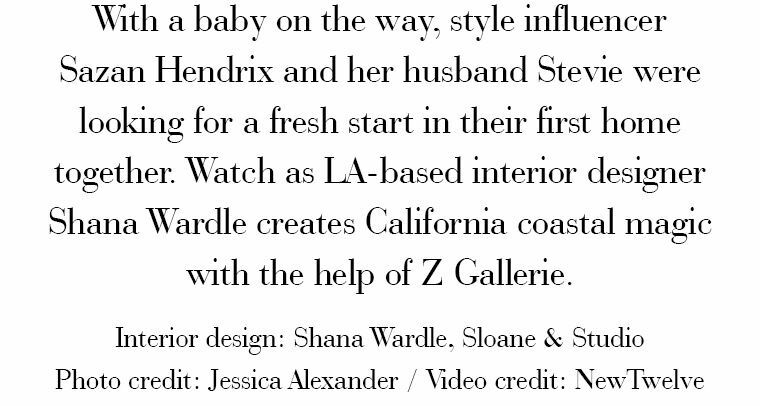 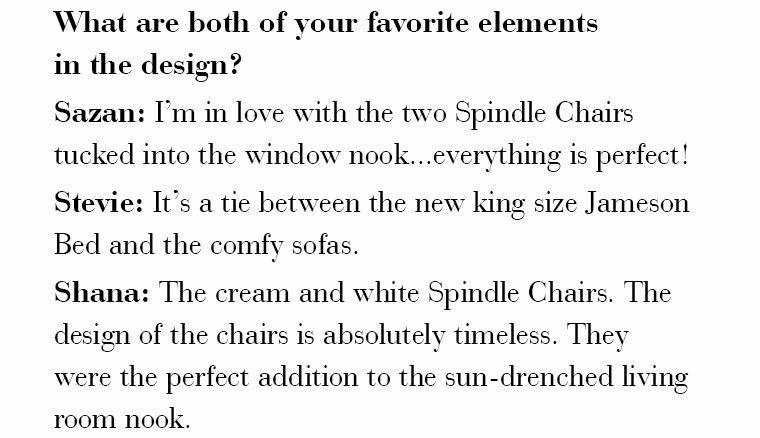 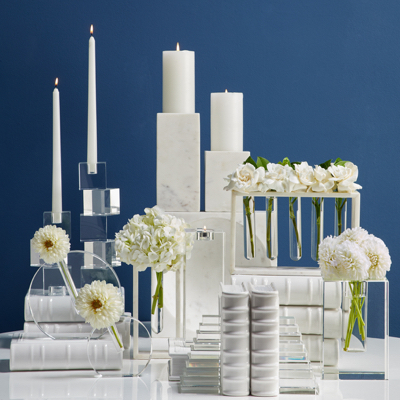 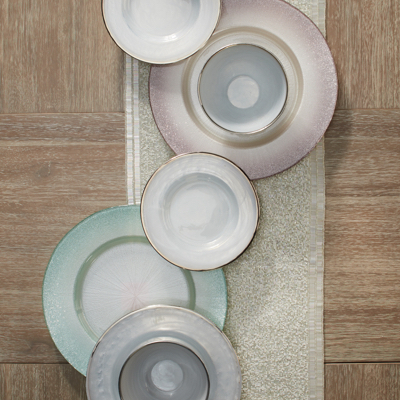 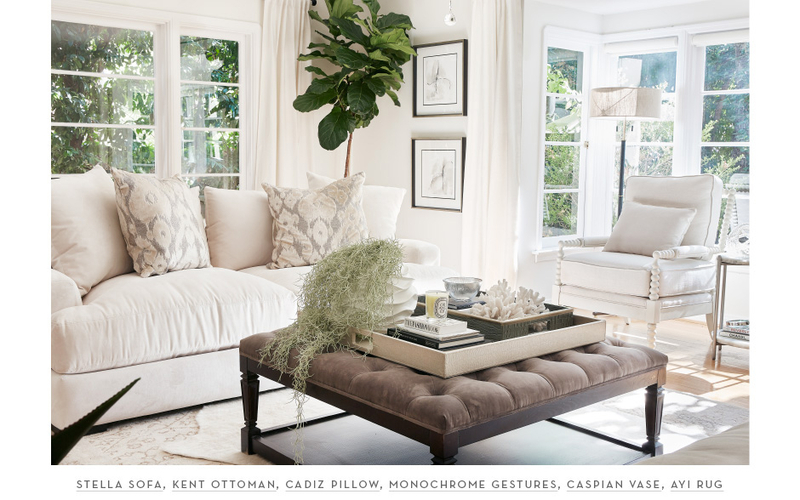 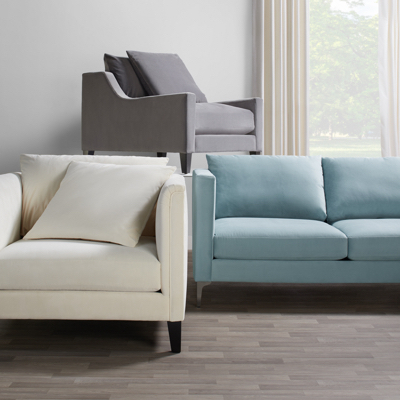 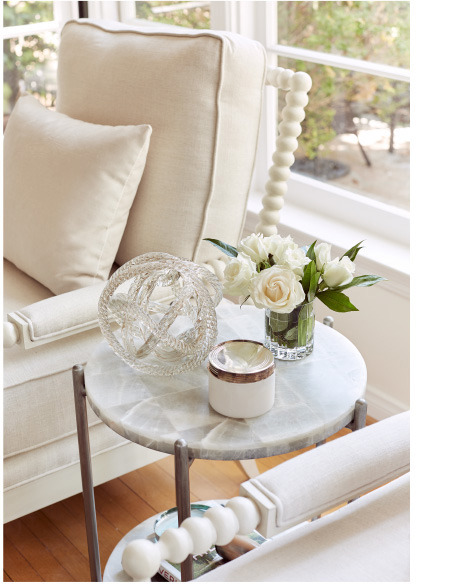 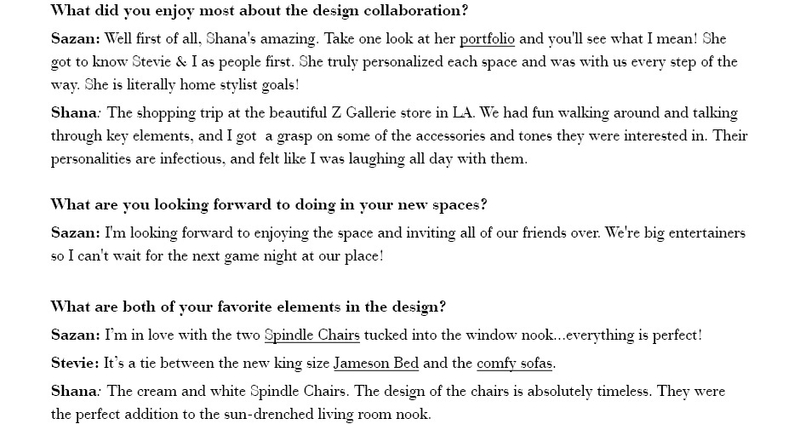 With that input from the couple, Wardle combined modern, classy accents in a palette of whites and neutrals. 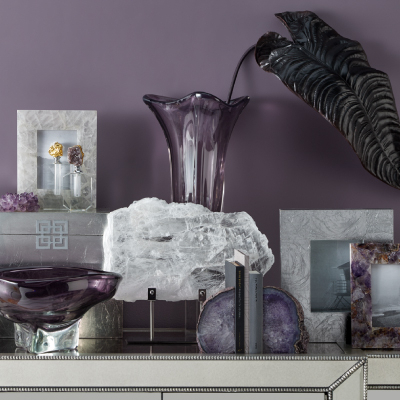 Wardle’s use of accent pieces throughout the home—from Z Gallerie’s three-dimensional wavy Caspian Vase, a delicate Glass Knot, and architectural Bleeker Lamps— introduce unexpected texture into the rooms. 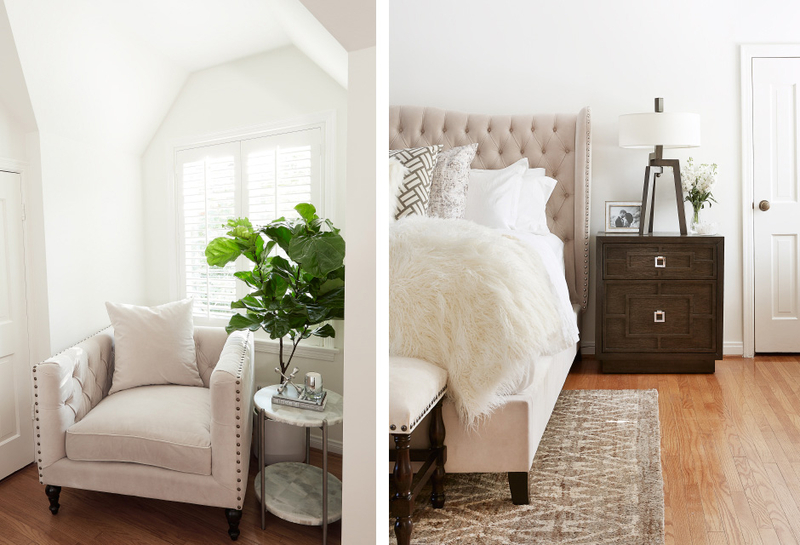 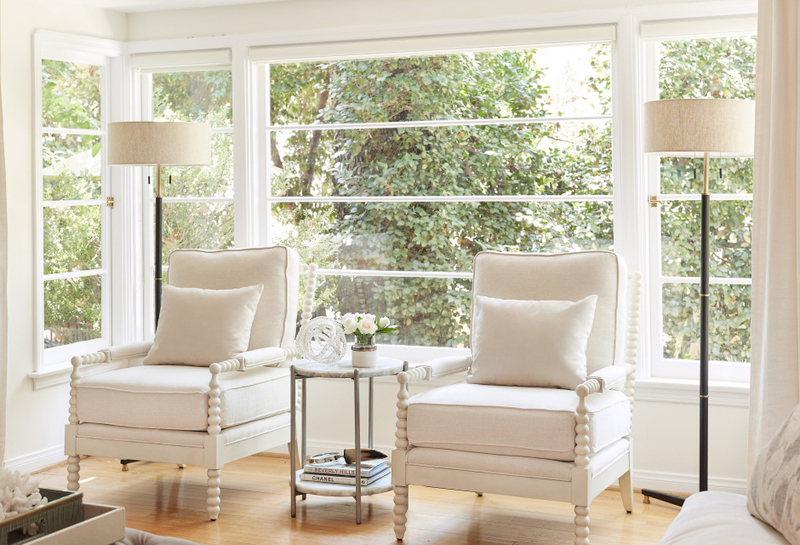 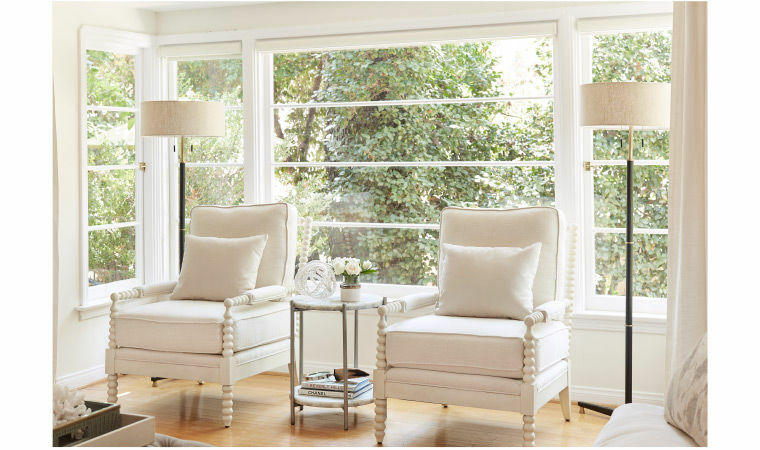 The result: A light-filled space that’s unfussy yet pared-down chic—perfect for a young, growing family. 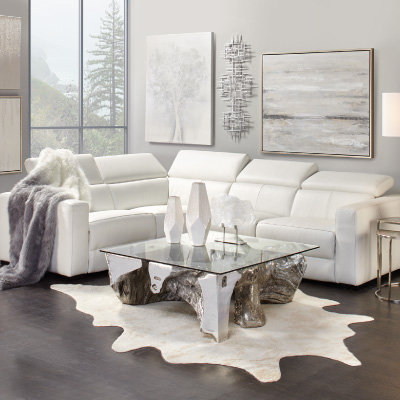 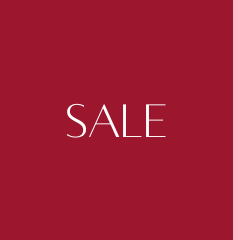 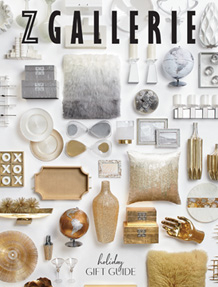 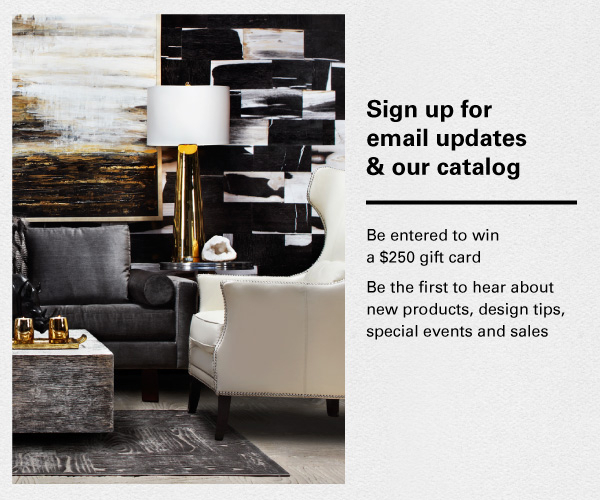 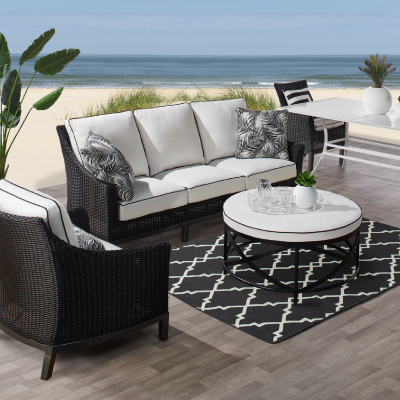 Explore the Hendrix home along with furnishings for every style at zgallerie.com.